Making waves across different industry vertical, Chatbots are hot in trend. The huge implementation and adoption of chatbot in 2017 mark it as "the year of chatbot" and will further continue to evolve. And the year 2019 is ready and set to reap benefits. The transformation of chatbot to AI chatbot is paving wonderful opportunities for business to grow and at the same time save time and efforts. Nowadays, available on an array of messaging platform, the chatbots are slowly but continuously replacing apps. Since 2016, there has been the rapid development of Artificial Intelligence and chatbots, as almost all type of industry vertical started to adapted artificial intelligence in one or the other way. In 2016 the chatbot market showed an purplxed number, which means the value concluded $703 million. Again, the figures are expected to grow at the rate of 35.2% by 2021. And the estimated growth is expected at least $4.5 billion investment. 35% of consumers want to see more companies using chatbots (Source:-Ubisend, 2017). Being used by businesses to provide proactive assistance to their customers, today brands like American Express and H&M have implemented chatbots, in order to supercharge their customer service experience. Where can Chatbot’s be incorporated? This chatbot is the simplest type of chatbot available in the market. In most cases, the rule-based chatbots are the predefined option tree hierarchies displayed to guide the user in the form of buttons. These are quite similar to the automated phone menus, we all interact with on almost a daily basis. These chatbots require the user to make several choices to dig deeper for the ultimate answer. Intellectually independent chatbots are bots based on machine learning. Thus, they rely on training a neural network to “think” for itself by providing it with thousands or at times millions of examples of what the bot needs to be capable of understanding. They keep advancing over time and are commonly used for entertainment and science. 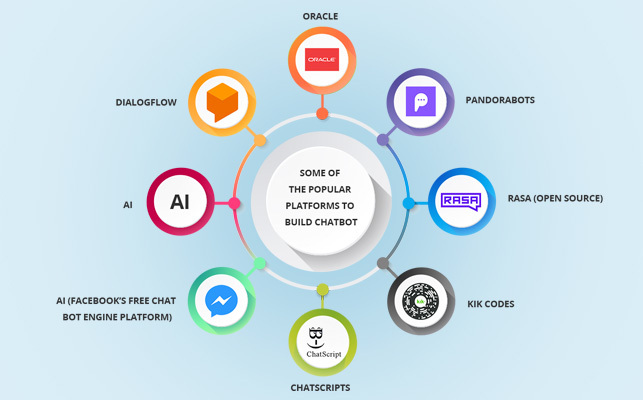 This category is the fusion of rule-based and AI, and can be recognized as the AI-powered chatbots have predefined scenarios and can be interrupted at any moment by free text. The natural language processing allows the chatbots to understand the message intent, ask for relevant information required to answer and training to understand conversation's context. For instance; When a user speaks to AI-powered chatbot regarding healthcare, the chatbot will create and save all the medical document, and will provide information to the user based on the questions they have for bots. Another example will illustrate how a bot can help to order pizza. the chatbot remembers the previous order and will recommend based on that information. this bot remembers payment information, delivery address, and preferences, so they can ask if the user wants the same order to repeat. The main advantages of chatbot! The digitalizing has created high competition and to stay long companies have to adapt to the changes of times. And today, chatbot implementation is mandatory to help a business to lead position. According to Statista, the most popular global mobile messenger apps as of April 2018, based on the number of monthly active users: The growing popularity of messaging apps is hard to deny. Nowadays, people connect with different brands or search products or content via a mobile application. And, a recent study reveals that people are strongly active on messengers, hence are more popular with higher rates than apps. Furthermore, most of the users base is the young age group, and this is crucial for demographic for advertisers, and brands. In today’s fast-paced world, people look for instant things, which indicates that Mobile App Development Companies should figure out how the apps can help businesses to accelerate their business to overcome competitions. 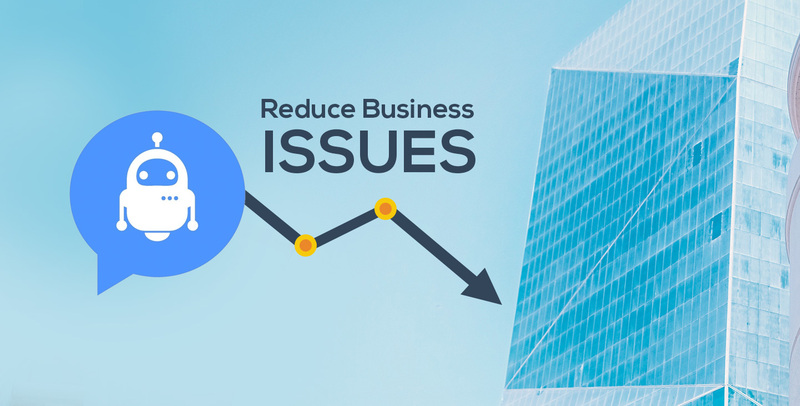 The faster the business application will respond, it holds more potential to deal the more likely the odds to close a deal. No one wants to wait for small stuff. An easy to understand Interfaces comes as essential factors to keep customers engaged. You know why Chatbots are built in chat messengers? This is because chatbot interface will always be the one people are familiar as they are engaged on messengers on a daily basis. Of Course, it will ensure the business with an opportunity to hit people on a platform trusted by them. Hence, it becomes mandatory to create a conversation bot messenger that make users feels natural, easy and confident using your services or buying your product. No denial, social networks are the dynamic advertising platform. It’s open and click-through rates are remarkable. There are several apps, so the mobile phones are often bogged down with memory-consuming apps. Hence, if you use a chatbot, no need to download any app in particular. Over the past couple of years, the app market is flooded with various kinds of apps ranging from shopping, socializing, dating, travel, delivery services, music, and etc. However, according to recent statistics, people do not download many apps unless it is quite appealing with striking features. Therefore, chatbot development comes as the more convenient option. No Denial, chatbots are the future, and we would recommend everyone to integrate it into their company to boost business generate huge revenue. It has become very easy to build a bot, as different chatbot development platforms are available. It will not be wrong to address chatbot revolution as imminent. Being a Premium Chatbot development Company, at Root Info Solutions- we offer services from start to finish, from conceptualization to goal setting, to build the chatbot-based solution.